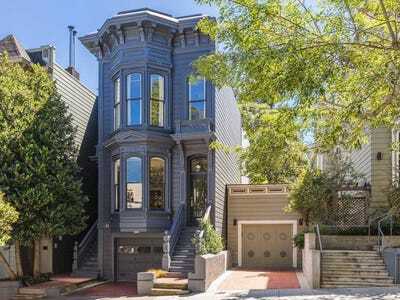 AirbnbYou can rent this Victorian home on Airbnb. Staying in an Airbnb rental gives travellers a uniquely authentic alternative to the traditional hotel. Airbnb hosts are known for their design sensibilities and attention to detail, and there’s a ton of variety for the more adventurous traveller. 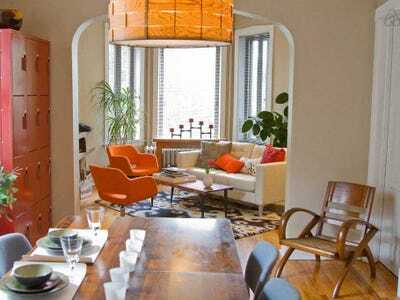 We’ve rounded up some of the most interesting homes you can rent from Airbnb in 18 major cities in the U.S. They all have a unique design and have earned top reviews from previous travellers. Romantic treehouses, swanky lofts, and secret gardens are highlights. 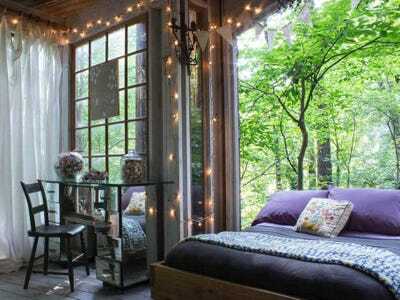 ATLANTA: Escape from the city in this magical treehouse. Three separate elevated structures are connected by rope bridges. 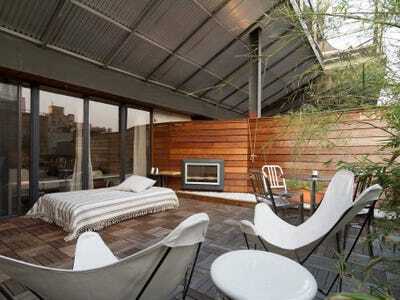 The bedroom is meant to accommodate two people, and everything is left open to the elements. AUSTIN: Rent out a historic 20th-century manor just east of downtown. 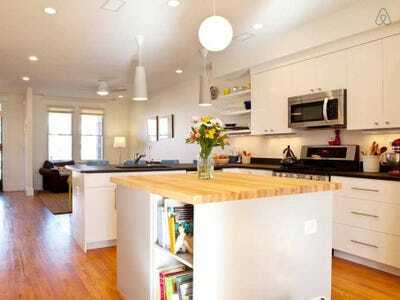 If you have a big group that's willing to splurge, this beautifully remodeled house can be rented out for a few nights. Each room is amazingly decorated, and there's even a fire pit for hanging out outside. 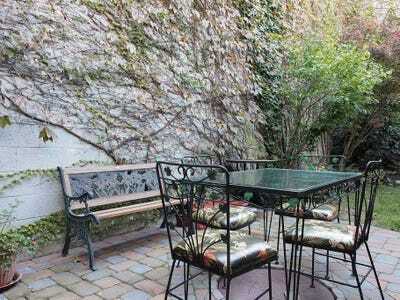 BALTIMORE: Stay in a renovated row house with a secret garden. According to the listing, this home is located on a street where Frederick Douglass once lived. There's a second-floor deck as well as a quaint garden. 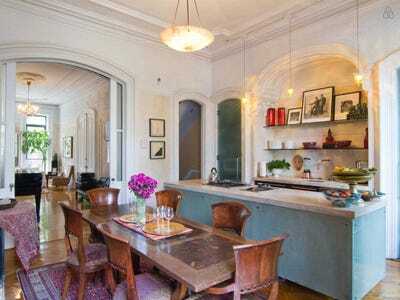 BROOKLYN: Rent out a private room in this gorgeous brownstone. Airbnb users can rent a room in either the basement or upper floor of this Moroccan-inspired home. They can also make use of green space in the backyard. BOSTON: Explore the city's sights from this two-bedroom penthouse apartment. You'll have to walk up a few flights of stairs, but the adorable decorations and convenient location make it well worth the climb. CHICAGO: Spend a few nights in this trendy flat. The apartment has two bedrooms, a private deck, and a backyard, and public transportation isn't far away. 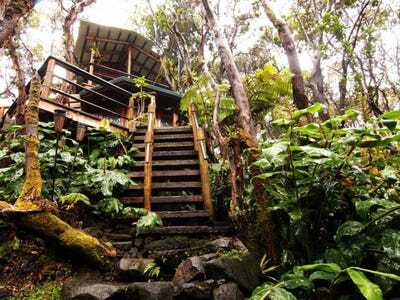 HAWAII: Hike around volcanoes from this romantic treehouse. The two-level home hangs in a grove of ohia trees in a rainforest near Hawaii Volcanoes National Park. This treehouse has been named one of the most romantic getaways in the world, and there's plenty of hiking trails to explore. LOS ANGELES: Take in beautiful ocean views from this Malibu home. The bedrooms have balconies that face the ocean, and guests are free to take a dip in the swimming pool. 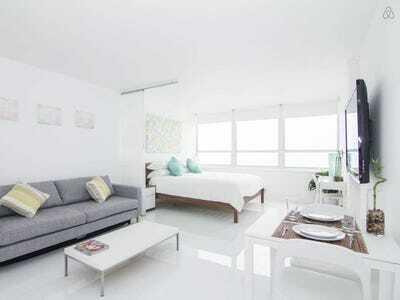 MIAMI: Live like a high-roller in this sleek 15th-floor apartment. Guests can take advantage of the swimming pool, accessible beachfront, and free valet parking. MINNEAPOLIS: Enjoy hip restaurants and shopping from this quaint home. 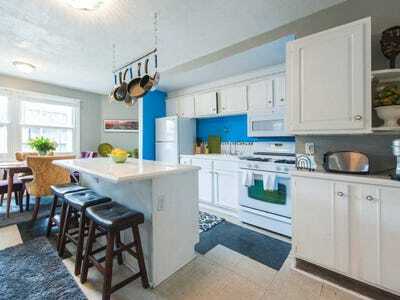 This one-bedroom apartment is tastefully decorated and close to the Minneapolis Greenway, a bike path that leads to some of the Twin Cities' major attractions. NEW ORLEANS: Get a taste of the local culture at this folk art-filled home. This rental is located in a building that was once 19th-century storefront. 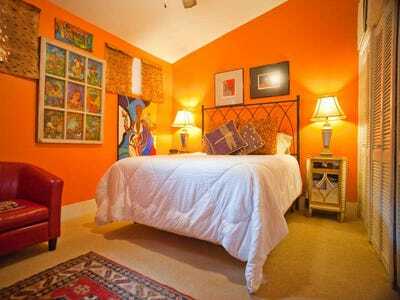 The home is colourful, comfortable, and filled with local artifacts. NEW YORK CITY: Spread out in this spacious duplex. The apartment has a bedroom, large living room, and open kitchen, in addition to an expansive terrace with its own outdoor fireplace. PORTLAND: Try something new with this unique designer loft. 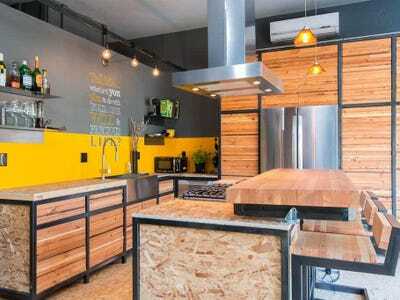 The space, which was once a two-car garage, was converted into an apartment with stainless steel and reclaimed wood. 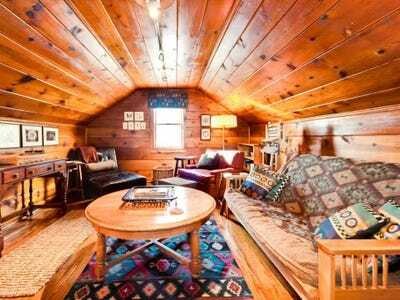 ST. LOUIS: Cozy up in this cabin on the city's outskirts. 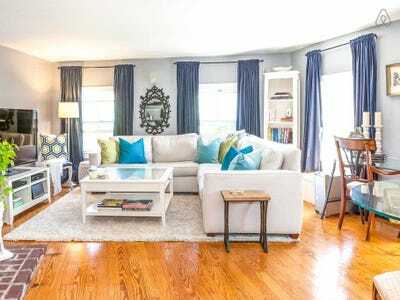 The rental is located on the second floor of the owner's home and can comfortably accommodate a small group. 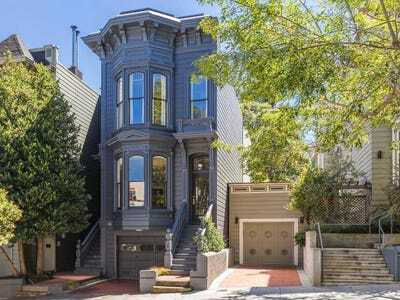 SAN FRANCISCO: Spend some time in this classic Victorian home. Though the house dates back to the 1880s, it has been renovated to include modern conveniences and is close to the trendy galleries and restaurants of the Mission District. Known as 'El Refugio del Espia,' this tiny one-bedroom home is on the National Registry of Historic Places and dates back to 1860. 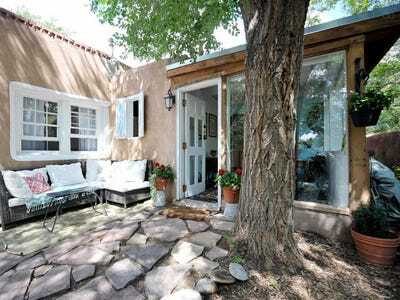 It has been updated with modern amenities and is close to Santa Fe's main tourist sites. The hosts rent out the third floor of their early-20th century home. Decked out with warm wood paneling and huge glass windows, the unit was built for taking in gorgeous city views. WASHINGTON, D.C.: Sleep close to the action in this Capitol Hill home. Guests have access to a private bedroom and bathroom, along with a free breakfast and Netflix. 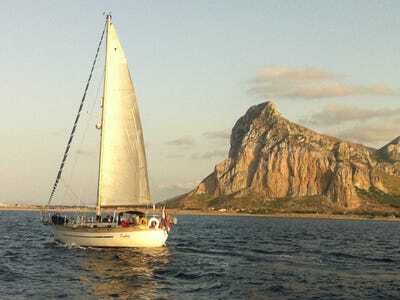 Want to see some more unique vacation rentals?